I love cats. I have loved them since I was small even though my parents don't really approve of them. I like to feed stray cats that wander near my table when I'm eating outside, I entertained stray cats that come by the house, I give them milk, ikan bilis (anchovies) and I even fed the neighbor's cats. One time I had a kitten but since I was staying at a hostel at that time, I couldn't take him with me so I had my parents (my mum, to be specific) to help me look after the cat for me. His name is Nemo, btw. 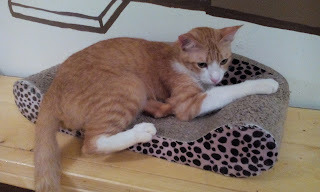 Such an adorable but very naughty cat gosh I miss you Nemo! Even though my father hates cats, he had a cat house/cage custom made for my cats at one time. They also bought tons of cat foods, my mum would buy fishes from the market for my cats and they foot the veterinary bills when my cats got sick. Guess it is true when people say that a parents' love knows no boundaries. Hehehe. Now that I have my own kids, I am so glad to see that Babycakes loves cats as much as I do. 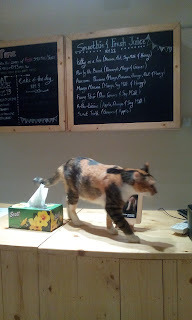 However, since we are staying in a tiny condominium, it is impossible for us to have a pet cat of our own. 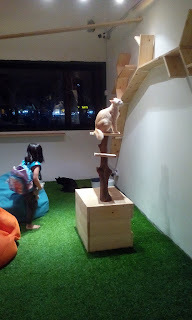 Then I found out about a cat cafe in Taman Tun Dr Ismail. 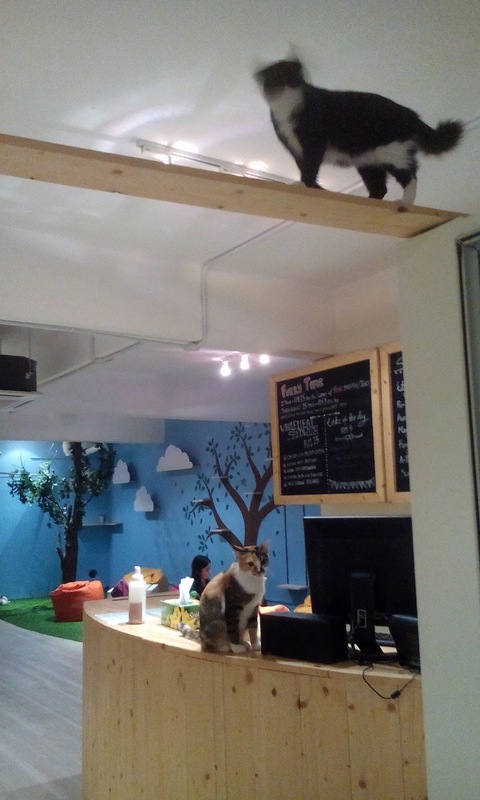 The cafe is called Purradise Cat Cafe. I asked hubby to take us there as I know Babycakes will be thrilled. 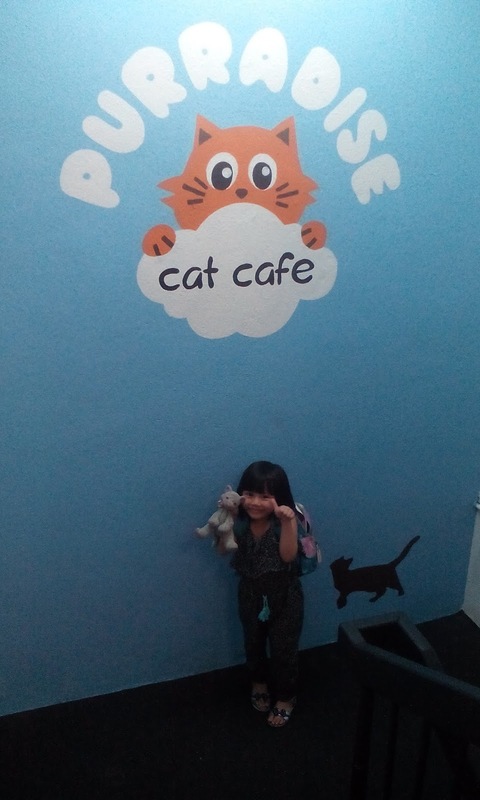 If you are familiar with TTDI, the cafe is located on the first floor of the row of shops, same row with 99 Speedmart supermarket. Or you can just use waze to get yourself there. We went there on one fine Sunday evening. As you may or may not know, TTDI has a night maarket every Sunday evening and the night market is pretty awesome too with tons of yummy foods -the apam balik is my favourite and the two times I bought papayas from the night market, the papayas were sweet and tasty. 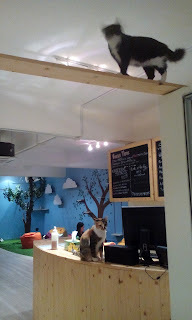 OK back to the cat cafe. There is no entrance fee but you are required to buy at least one drink/smoothie each and you can only stay there for an hour. If I recall correctly, you will be charged a few RM if you stay longer. 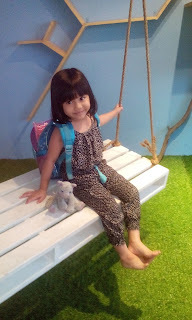 This was when we visited back in August. Do check out their website or fb for more info in case they change the rules. 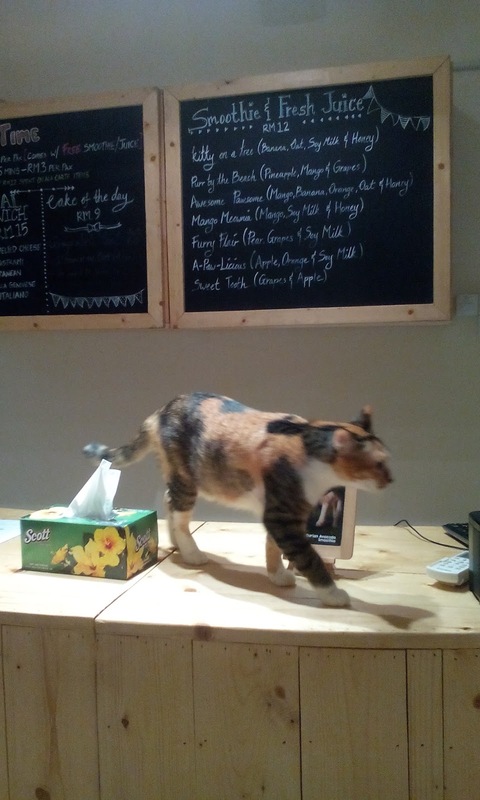 The cafe is spacious and cozy. They have beanbags strewn on the floor for you to sit on, they have a bright wall with places for the cats to hang out and walk, to jump and to hide. 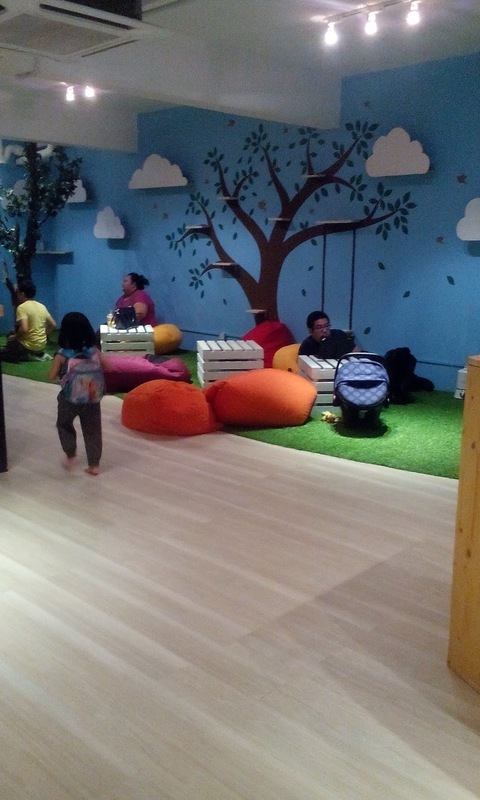 They also have long tables and high chairs for those who want to sit to enjoy their sandwiches and light snacks. 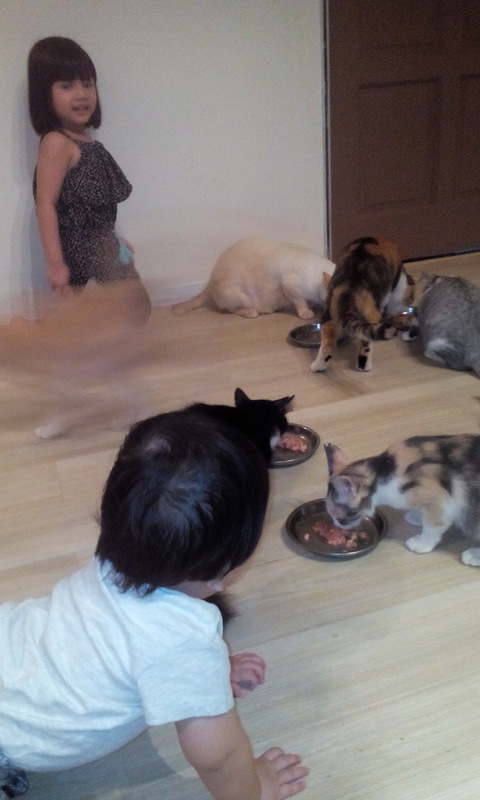 The staffs feeding the cats. Babypie was in awe of the cats. 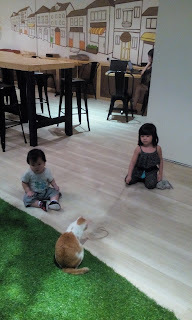 At this time, he was still a bit scared of them. He freaked out when the cats pass by him. 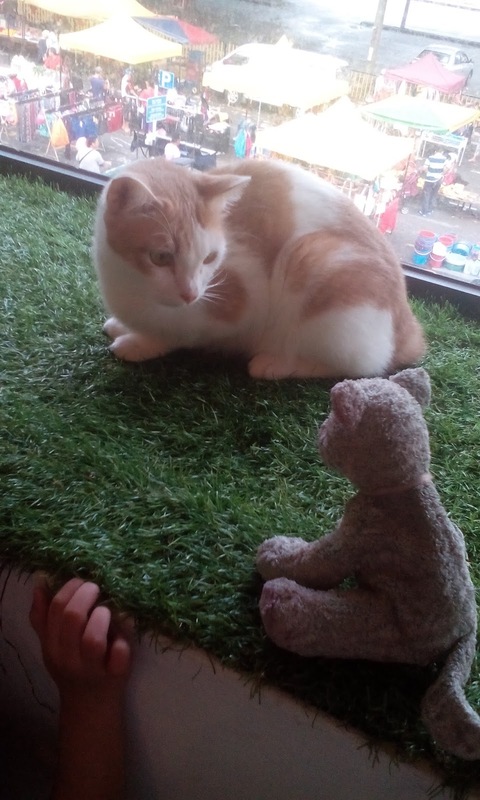 I hope he will slowly learn to love and appreciate the furry friends. 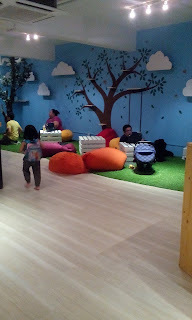 The place is air conditioned and surprisingly it was very clean and no smell at all. 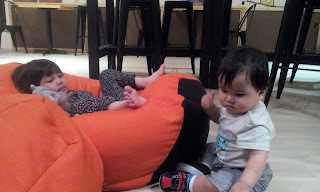 It was a very nice experience for my kids. 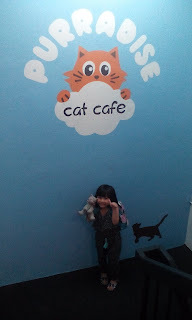 Do check out the cafe if you are a cat lover like us.